The Otani River's Taiko Bridge and lines of weeping willows create trademark views of Kinosaki Onsen's streets. We are found on the south side of the river on the corner. Our name, Gonzaemon, and good standings have stayed with us since we our foundation in the hot spring town dating all the way back to the Edo Period. Our inn is a quiet refuge set back from the hustle and bustle of the main street. Seasonal ingredients are used in the cooking for our original banquets. The main menu is changed monthly. Dishes from April to October are based around the tastes of the seasons during this time. From November to March the main used in the dishes is freshly caught crab. This time of the year Kinosaki is famous for its crab season. 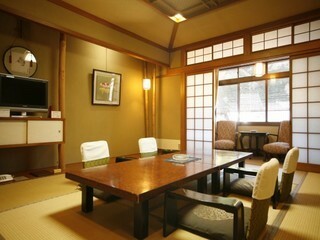 The guest rooms are simple and calming traditional Japanese style rooms. Gonzaemon is a chic hot spring inn resembling a classic mansion, indeed typical of Kinosaki. **Plan Details** -Dinner: Enjoy a variety of unique flavors through kaiseki cuisine which focuses on ingredients that are in season. The crab dishes served are bamboo charcoal grilled crab,　boiled crab and crab hot pot. 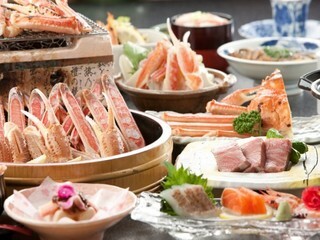 Other dishes such as Japanese brand beef steak, seasonal sashimi presented on a boat-shaped platter and more are also included to make a total of 12 dishes. * The menu changes every month. 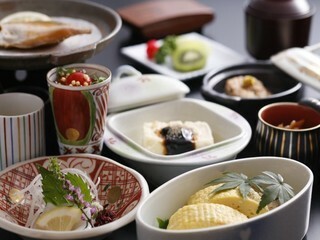 -Breakfast: Breakfast uses a variety of local Tajima ingredients. Tofu, Japanese omelet, Sliced konjac, Locally dried fish, Vegetable salad, Miso soup, Rice, Pickled vegetables. * The menu is subject to change. * Take your time and relax at Gonzaemon in our Japanese-style rooms. * We take pride in our cuisine. Each dish is served one by one as they are prepared to ensure customer satisfaction. * Our ryokan is very close to Yanagi-Yu. Ichino-Yu and Jizou-Yu are 5 minutes away on foot. We will provide you with a free pass so please feel free to use the public hot springs as many times as you wish. ** Hot spring tax (JPY 150) and hot spring fee (JPY 190) are not included in the listed price. * All rooms include restrooms and hair dryers. 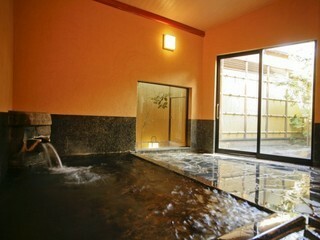 * Amenities for both men and women are provided in our ryokan's large hot spring baths. * Free parking is available. Children 1~6 years old that do not need meals or bedding are free of charge. Children needing a child's lunch, yukata(cotton kimono), bedding, and/or breakfast-please choose the appropriate option in the reservation confirmation page. Service and consumption taxes are included.